Waze is a free navigation app for smartphones and desktop computers, relying on internet connectivity and GPS to provide dynamic route guidance. Apple iOS and Android apps are actively developed and updated, and for many drivers, provide the best route guidance available in the UK. Waze has a live map for desktop/browsers, an Android app (Google Play Store) and an Apple iOS app (iTunes App Store). How can I use Waze in my car? Through the smartphone apps on Apple and Android devices, either by using the phone in a handsfree mount, or via Android Auto or Apple CarPlay. 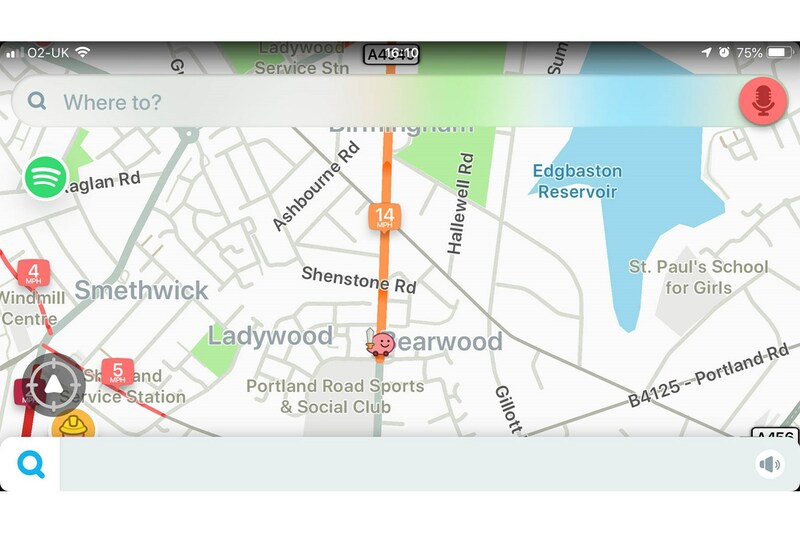 Some manufacturers, like Ford, also support Waze via MirrorLink. Passengers can also use Waze and access more features than are enabled for drivers, like sending messages to other Waze users. 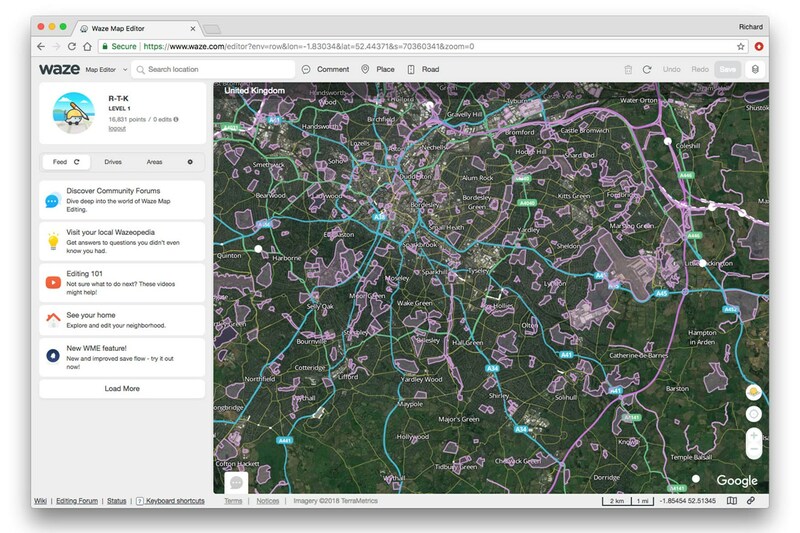 Unlike traditional sat nav and smartphone navigation solutions alike, which rely on traffic message channel (TMC) updates or network announcements for road closures and their own aggregation of traffic feedback to determine problem routes, Waze's traffic alerts and information is crowdsourced. This means that the presence and duration of a delay can be broadcast to Waze users - Wazers - in real time, as can the location of broken-down cars on the hard shoulder, Police activity, roadworks, potholes and other useful information. You can even use your own voice and phrases to provide directions; it's in Settings > Voice Directions. 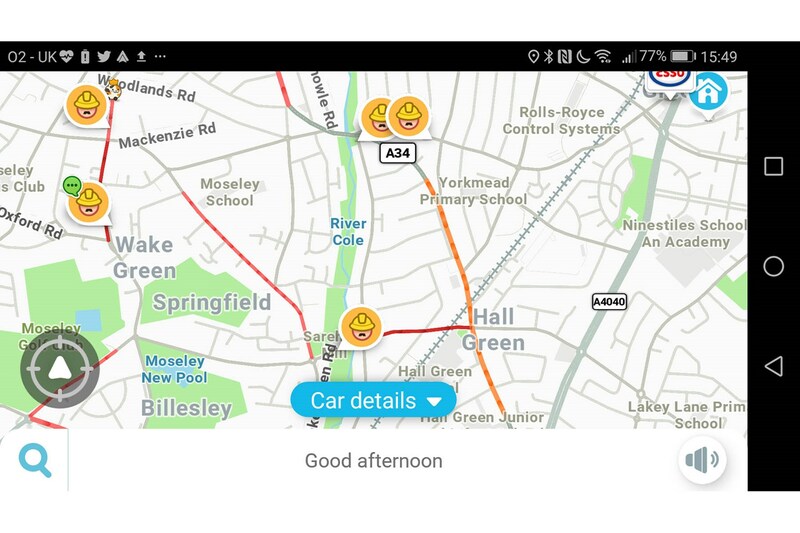 Waze is also expanding into car sharing, via their Carpool app - though that is not available in the UK yet and may face regulatory restrictions. Wazers can also beep each other, choose to identify themselves or remain anonymous, and see other Waze users moving around the map nearby. 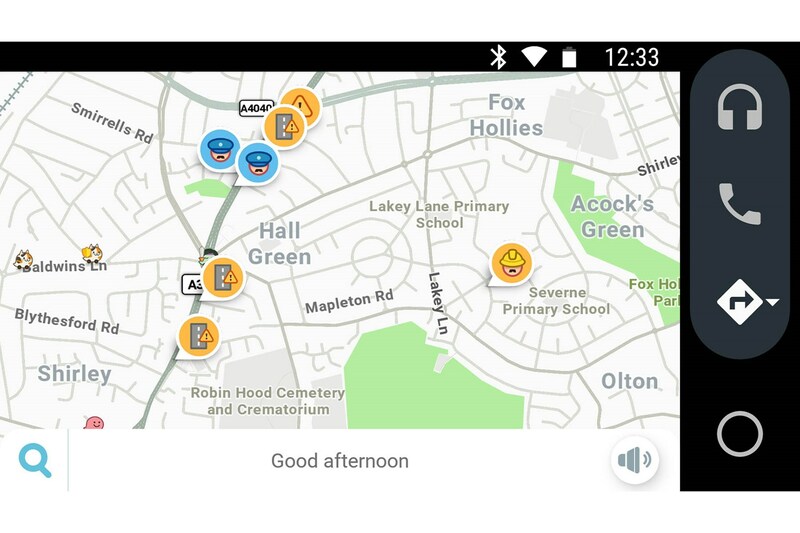 Reports from Waze users can be thanked - a prompt for this appears in Apple CarPlay or Android Auto - and members of the Waze community get points and ranking for miles covered and thanks given, as well as special icons for map editing. Yes, Waze's map data is also crowdsourced to a degree, with users able to submit corrections via the Waze Map Editor. Peer review and checking is part of this process, so novice users can't instantly ruin the routes of thousands of drivers - and the end result is better understanding of narrow roads, heavily congested routes, business and residential locations and changes to the road layout that have yet to be uploaded and verified by the traditional map providers. Google acquired Waze (and soon after, offered live traffic conditions in their own apps to a much higher quality than before), and have kept the crowdsourced, social media aspect of the app intact. Part of the development behind Waze became the Connected Citizens Program - a real-world application of big data that, for once, has more relevance than advertising and media manipulation. 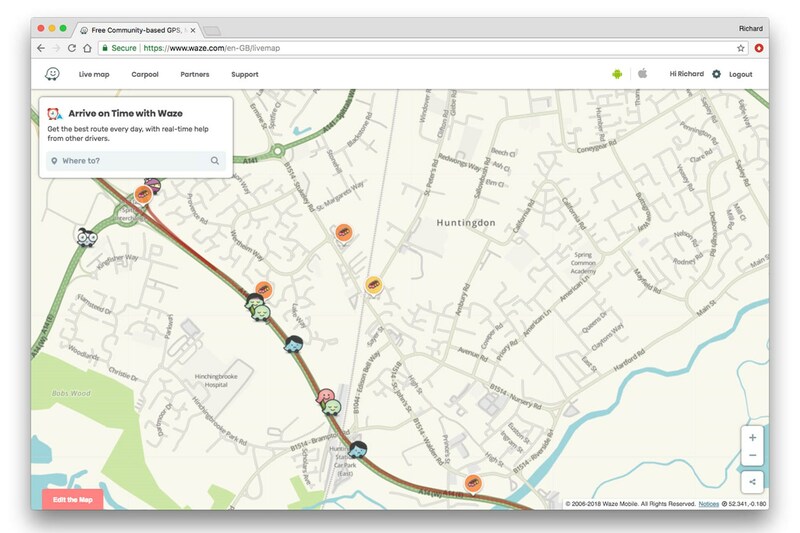 With the traffic and movement that Waze's live routing gathers, plus the incident information that Wazers provid, the Connected Citizens Programme has become a vital tool for city development and urban planning, as well as live incident response improvement. Providing data to corporations like Google may concern some individuals - in this case, though, every Waze user is helping to improve emergency response, logistics, road maintenance and traffic flow around the world. As driver habits and patterns evolve, smart and live data will make car usage less stressful, kinder to the environment and more pleasant in the face of increasing congestion; Waze is a small window into the future. Users of Blackberry, Windows Mobile and Symbian-based Nokia and Motorola phones will find older versions of Waze online, but these are not actively supported or developed.